The utilization of irrigation has helped Schafer Farms diversify our crop mix quite a bit over the years. In addition to the commercial corn and soybeans we grow, we have over a decade of experience in the specialty grain market raising waxy corn for processors. We have continuously grown our seed corn production acres with our partner Remington Seeds since starting in 2001. We have grown green beans for Pictsweet, and cucumbers for Hartung Bros.
Our relationship with our landowner partners is one of the most gratifying parts of our business. We recognize that not only is each landowner’s ground an investment that needs to be managed effectively to maximize the landowner’s return, but often times it is also a family’s legacy that needs to be cared for properly to be handed down to the next generation. Schafer Farms has experience with different types of leases to accommodate a landowners’ degree of aversion to risk. We offer simple cash rent, crop share rent for landowners who prefer a more hands-on approach, and even hybrid flexible cash leases which provide some of the security of cash rent while providing some of the upside of share rent. 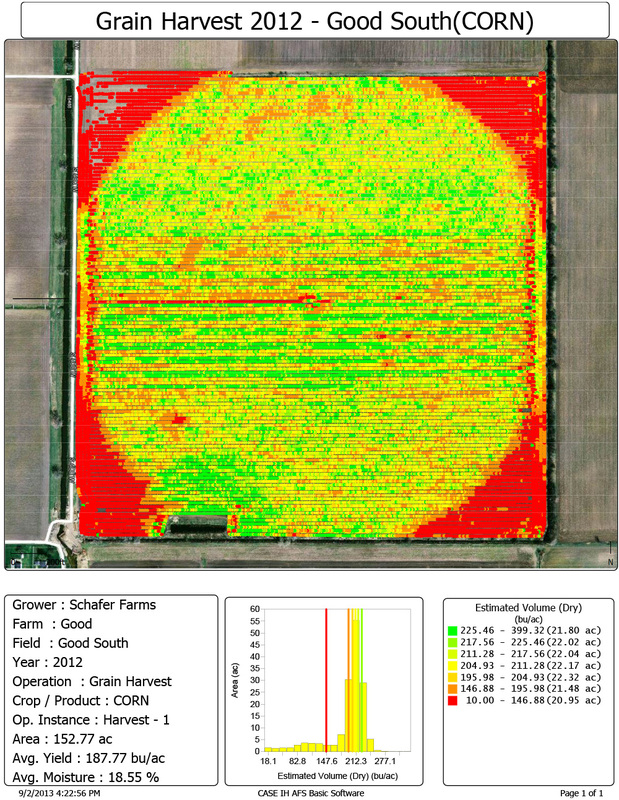 From GPS based technology in the fields to a computer controlled grain handling system in the fall Schafer Farms continues to look for innovative ways to produce higher yields more efficiently. GPS based soil sampling and nutrient application ensures that fertilizer is applied where it’s needed and in the proper amount. 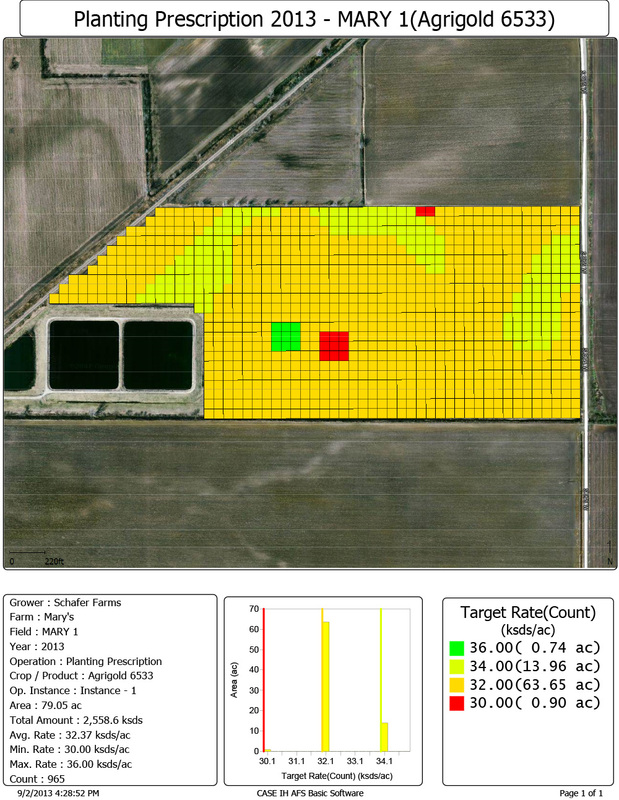 Prescription planting maps in the spring paired with variable rate seeding capability mean populations are optimized for a given area of the field. GPS guidance with automatic seed and application shut off leads to fewer wasted inputs. Finally, yield monitoring and mapping and an on-site truck scale allow for decision making data to be compiled for future use. The data and technology available today are powerful tools, but when it comes to farming they’re no substitute for experience. While every year is different, Schafer Farms has six decades of experience to lean on. That experience has taught us many things over the years and shaped our principles by which we operate. It has taught us to be advocates of drainage and to keep ditch banks and fence lines free of brush. It has shown us that maintaining a farm’s appearance through general upkeep and mowed roadsides is important. Finally, it has proven that maintaining a farm’s fertility levels and soil health are critical to ensuring its long term productivity. Whether it’s the field with highway frontage or the field in the back of the farm we care for all of our owned and rented ground as if it were ours.